The GWR 2251 class was introduced by Collett in 1930. 120 examples of this class of 0-6-0 tender engines were built at Swindon and they numbered 2200 to 2929 and 3200 to 3219. No.2253 was built in 1940 for the Great Western Railway. It was based at Worcester from December 1963 until withdrawn in March 1965. 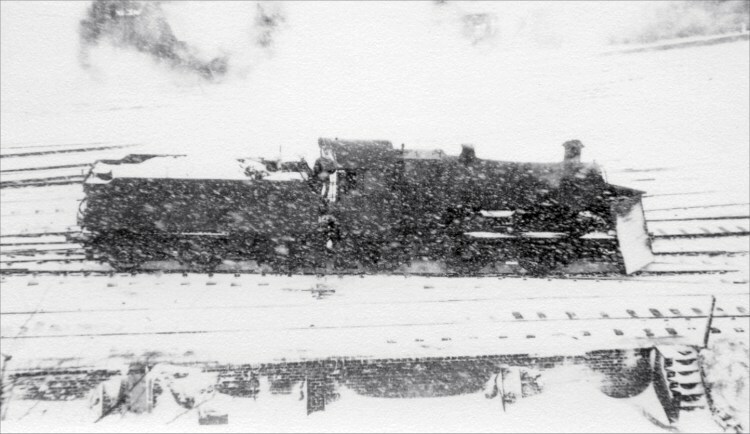 This evocative photograph was taken from Railway Walk during a blizzard on 4th March 1965. It graphically illustrates the tremendous difficulties of operating steam locomotives in this kind of weather. Photograph taken by Robert Pritchard.